I’m 21 years old, am from North Yorkshire and have just finished my first amazing year at the University of Derby. My main joys in life are cats, Italian food and a nice cuppa. I think of the journey that led me to blogging as a really long road; complete with diversions, speed limits and many a pothole. My mental health struggles, which have always been a part of my life are for sure what led me down this path. There’s always been something about helping people that makes me feel really content and fulfilled in life, which is what inspired me to start doing some small-scale mental health campaigning at the age of 17. This culminated in my appearance on ITV news, speaking about mental health. Although this is an experience I am very proud of, it was also the day I realised that I sound like a middle-aged Yorkshireman, of which I am not so proud. 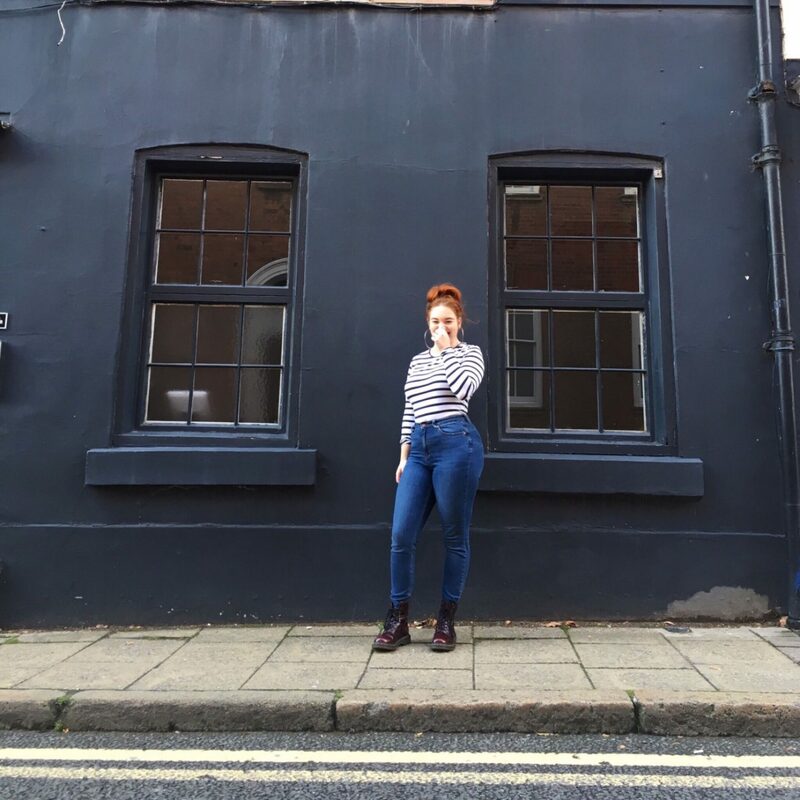 After a few years of writing little snippets on Instagram on all things mental health, I decided to move away from that theme. Everything I write about is in some way inspired by my mental health journey, but I now like to focus more on personal growth – on evolving as a person – something which has always fascinated me. I believe every action we take in life, and every experience we go through, however tiny, moulds us in some way. The turning point for me was when I realised how mental and physical health are completely and utterly connected; if you neglect one, the other suffers as a result. Through this lifestyle blog I hope to share everything I learn throughout the journey that is life, when it comes to taking care of the mind, body and soul. From what we eat and drink, to exercise, to organisation to body image – everything counts. A balanced lifestyle is a happy one, and I hope my imperfect but improving self can make something interesting of this realisation!